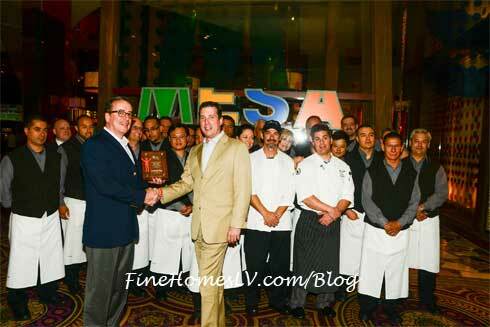 Mesa Grill at Caesars Palace was awarded the top Gold Plate donor for the third annual Spring Las Vegas Restaurant Week On Tuesday, May 20th, 2014. 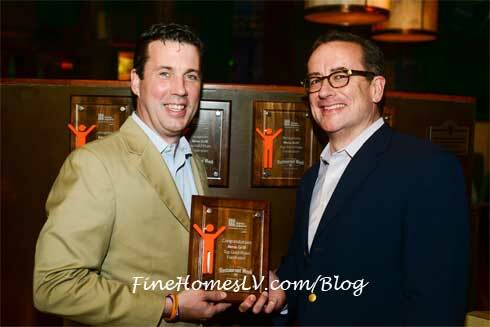 For the week of March 7 through March 14, locals and tourists had the opportunity to dine at some of Caesars Entertainment’s most popular restaurants while also helping to end hunger in Southern Nevada. Over the course of five years, Mesa Grill has raised over $52,000 through the Restaurant Week program, contributing more than 10,000 meals. All participating restaurants prepared specially designed menus of at least three courses and donated $3, $4 or $5 from every meal purchase to the Three Square Food Bank. Mesa Grill sold 1,997 Restaurant Week covers translating to a $9,985 donation in the spring 2014 or nearly 29,955 meals for Southern Nevada. Las Vegas Restaurant Week began in 2007 as a way to give locals and tourists the opportunity to help out by dining out. This year marks the third annual Spring Las Vegas Restaurant Week and the eighth annual Fall Las Vegas Restaurant Week, each featuring a variety of fine dining offerings at prix fixe prices across the valley. Three Square is a member of the Feeding America network of food banks. Visit www.threesquare.org or www.helpoutdineoutlv.org.